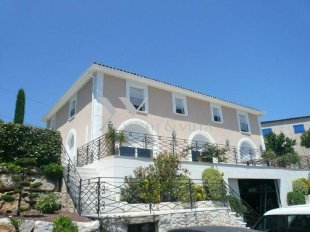 Property for sale in Golfe Juan offers an interesting alternative to some of the more developed French Riviera Real Estate areas. An upmarket seaside holiday destination Golfe Juan has a superb marina and a very practical aspect in that it is close to all major conveniences (hypermarkets, airports, commercial districts) with considerably less traffic during the high season. Much of the property for sale in Golfe Juan benefits from panoramic sea views, the gently sloping hills behind the golden sandy beaches providing an elevated position with spectacular views over the Cap D'Antibes and Iles de Lerins. Whilst the busy centres of Cannes, Antibes and Juan Les Pins with designer boutiques and heady nightlife are just minutes away, Golfe Juan is quieter with a distinctly Provençal village atmosphere with a small village at its centre brimming with local produce and French character. Many of the owners of real estate prefer this unique village atmosphere of Golfe Juan whilst enjoying the modern marina and proximity to Cannes & Antibes. 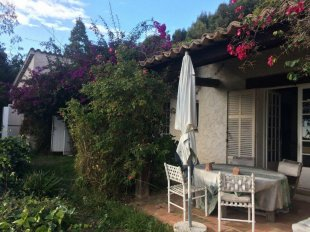 Real estate in Golfe Juan will always be a superb investment due to its prestigious prime position (just 35 minutes from Nice, close to the A8).